It’s a special day for SpongeBob SquarePants! Join SpongeBob and friends as they celebrate the best sandwich in Bikini Bottom – the Krabby Patty! This all-new live show includes SpongeBob SquarePants, Patrick Star, Squidward and that evil Plankton. There’ll be loads of sea-antics and you’ll even get to do the Krabby Patty Dance! Keep an eye out for Plankton as he’s always trying his best to steal the secret recipe of the Krabby Patty? Will this be the end to the Krabby Patty? Find out at City Square Mall! 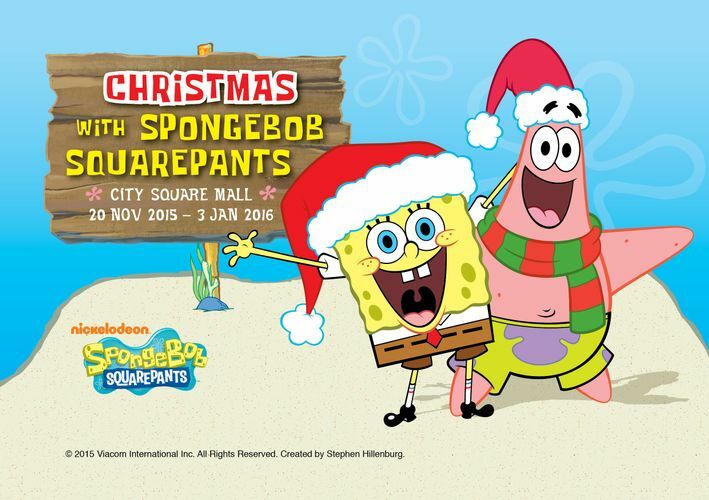 With a minimum spend of $50*, shoppers can redeem a Meet & Greet pass one hour prior to each show and snap a photo with SpongeBob and Patrick, limited to 50 passes per show.